as part of the Braintree Art Trail. This exhibition displays a varied interpretation on the theme of "Through the Window". 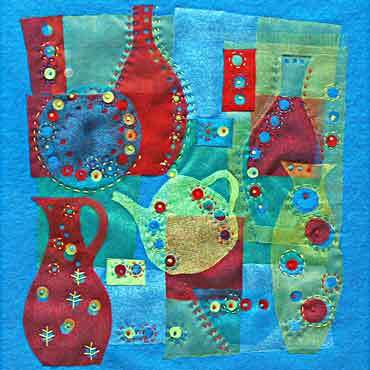 Materials and techniques include textiles, paper, felt, stitch and appliqué, with wall hung pieces as well as 3D items including a soft sculpture window cleaner.